Chennai: The much talked about Chennai Airport Metro station now finds itself in a new controversy. 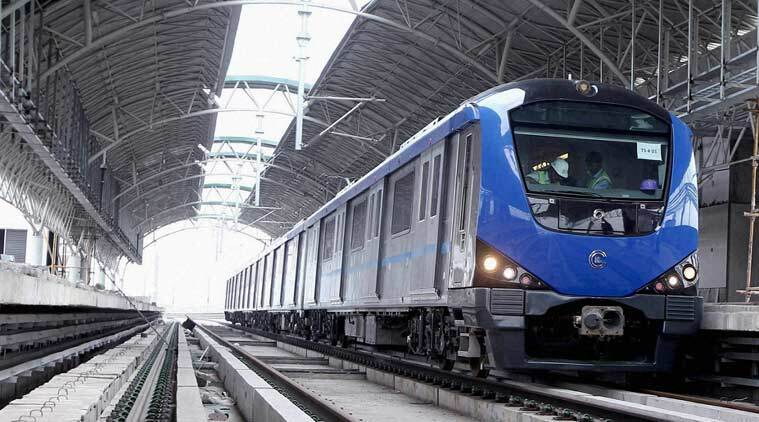 The two authorities – Airports Authority of India (AAI) and Chennai Metro Rail Ltd (CMRL) are at loggerheads over stalls to be put up at metro station. As per AAI they should get the chance to put up stalls as the station is at their campus. CMRL on the other hands argues that since they will manage the Chennai Metro station, they should be allowed to set up stalls. This clash is for the food counters and foex counters. As per the norms CMRL manages the stations. They had also invited tender from interested parties for setting up stalls, ATMs and forex counters. The controversy started when AAI learnt about the forex counters set up at metro. For this reason talks were then initiated by AAI and CMRL over the rights to set up stalls. AAI had already moved its canteen to the ground floor of the airport metro station as part of the arrangement. Discussions have to take place to work out modality in terms of usage of space at the station. Commuters are happy with the forex counter set up by CMRL as it offers exchange of currency at a cheaper rate than that at the airport. This had lead to conflict of interest as AAI feels that this should not affect the business inside the airport. The reason for offering currency at cheaper rate at metro station is that rent at the metro stall is cheaper. Even the license fee is less compared to what the AAI charges. Currently talks are on between AAI and CMRL over who should have the say over the airport metro station. Guruprasad Mohapatra, chairman of AAI has had a meeting with officials of CMRL to discuss the issue and work out amicable solution. There are other things under considerations which will be discussed during the meeting. An official shared that it might take around two months to decide on the policy and plan of action.